Welcome to the real world, Skywise! EVER since the December 2 grounding of its flights by the Airports Company of South Africa (Acsa) Skywise owners, managers and, more recently, politically connected shareholders have clutched at every straw within reach to play the victim and save face. The suspension came after the airline failed to pay airport charges for landing and take-off, parking of aircraft, etc. These are normal charges paid by all airlines for using airport facilities all over the world; South Africa is no exception. It is therefore reasonable to expect anyone wishing to run an airline to include such charges into their normal running costs. Thus far, Skywise’s preferred reaction to the troubles it finds itself in seems to have been playing victim and resorting to the age-old art of kicking the can to a spot outside someone else’s door. I have not heard any company representative admit to the possibility of being at fault, either through negligence or by following a misguided, unrealistic business strategy. None of their statements mentions anything close to a review of the airline’s airfare structure and management of overhead costs. In the eyes of its owners, managers, and politically connected shareholders everything that has befallen their ailing business is the fault of others, notably Acsa. Following an appeal to Transport Minister Dipuo Peters, she reminded Skywise that its suspension was related to a contractual matter and that its plea should have been lodged directly with Acsa and the relevant state-owned company. “Skywise,” she reportedly said, “must appreciate that setting the precedence of a direct ministerial intervention could be detrimental, with huge macroeconomic effects on Acsa. The business relationships between Acsa and all airlines operating at its airports are regulated in terms of agreements. “This will include terms of payment and penalties in case of default,” Peters continued before again reminding Skywise that Acsa indicated it had done everything possible to assist the ailing airline, including providing it with fair and equitable treatment as a service provider. First, Skywise owners and management addressed an open letter to President Jacob Zuma and his deputy, Cyril Ramaphosa, begging them to intervene on their behalf by talking sense into Acsa. When this seemed to fall on deaf ears, they upped the emotional appeal by brandishing the image of the late president Nelson Mandela in the face of government. They seem oblivious to the reality that whatever Mandela stood for no longer has any influence on the conscience of present-day South African leaders. Nelson Mandela’s granddaughter Ndileka, who also doubles as Skywise’s brand ambassador, lost no time before pulling out her late grandfather’s name card. In a strange emotional appeal, she insisted on a resolution that would be, ahem, “in line with my grandfather’s humanitarian nature and wisdom”. And, as if loving the sound of her own voice, Mandela couldn’t stop herself from adding “my grandfather would have considered loss of income to employees and the fact that strategic businesses require a conducive environment to grow and boost the economy and create jobs”. 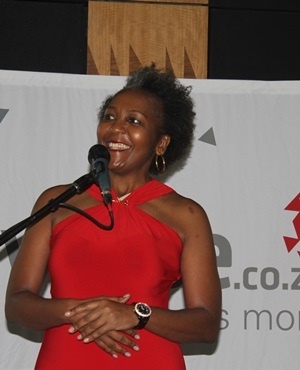 She did not stop there, going on to refer to charities that have benefited from the Skywise business but only mentioning one by name, the family-controlled Thembekile Mandela Children’s Foundation, which she founded. Amping things up further, she pulled out the sometimes abused gender card and demanded support for women entrepreneurs, citing as a good example her co-chair Tabassum Qadir, who “has put all her savings into trying to reduce unemployment and provide affordable air fares… [employing] 200 people who will be without jobs anytime from now if her airline is not saved now”. Shame. Reading the statement attributed to Ndileka Mandela, one cannot help wondering whether Skywise is run by a team of entrepreneurs who are out to maximise shareholder value or a bunch of activists on an emotional appeal for government largesse. How in the world does a business intended for making profit “extend a hand to organisations before putting sufficient reserves aside”? What are Skywise’s strategic objectives? Does it have the right business strategy, strategic thinking and management in place? One has to admit, however, that considering the billions of taxpayer funds that government has literally wasted in propping up South African Airways over the years makes it hard to deny sympathy to the ailing private enterprise. SAA competes on domestic routes against private airlines whose taxes prop it up, despite a litany of perennial failures. This cannot be right, but it should also not provide excuses for others not to run sound businesses. Skywise and others like it should remember that misplaced emotional appeals, especially where they border on blackmail, cannot provide a sound base for building a solid corporate reputation.